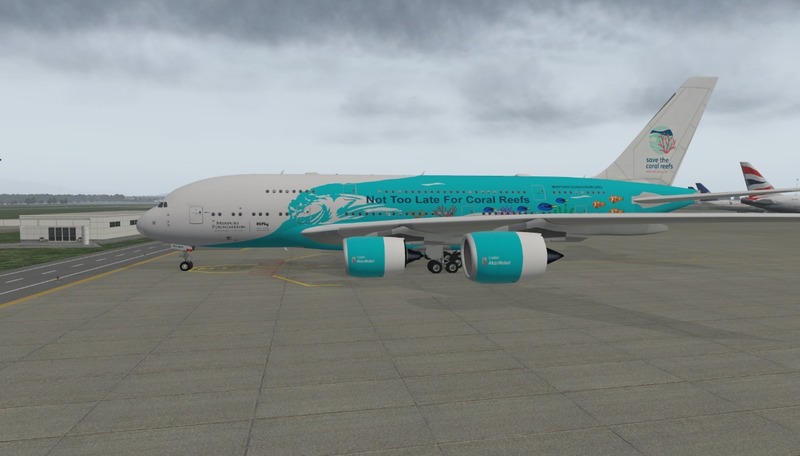 It's now available the X-Plane texture for the Airbus A380 9H-MIP "Save the Coral Reefs" by Peters Aircraft. This flagship aircraft that is part of the real Hi Fly fleet. 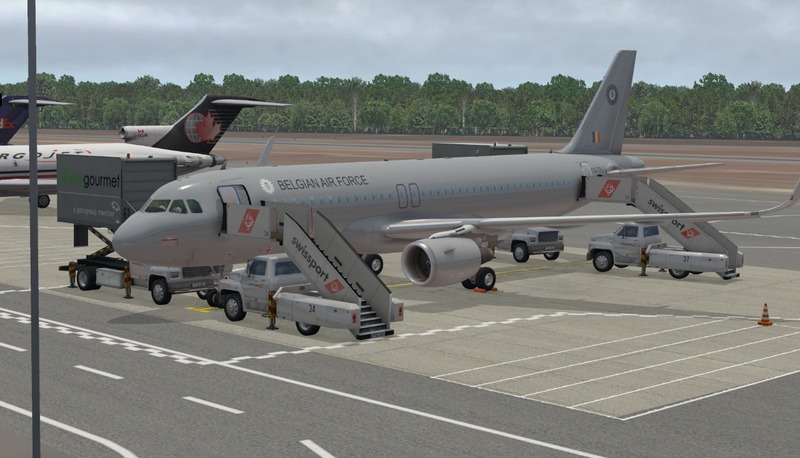 An update to the A321 CS-TRJ for X-Plane with the Belgian Air Force livery is also available. 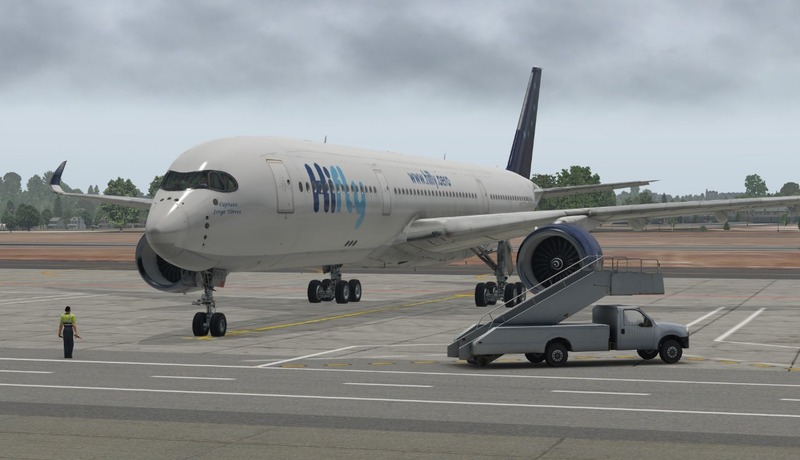 A set of fictional repaints for the X-Plane Airbus A350 by Flight Factor with the Mirpuri Foundation and Hi Fly liveries was prepared for the virtual pilots that want to explore this latest Airbus model. All textures are available, as usual, in our hangar and can be obtained through the Pilot Center / Downloads section. Credits to Senior Captain Gean Caracas. A new set of X-Plane textures to be used with the models produced by JARDesign, was added to our hangar and can be obtained through the Pilot Center / Downloads section. The new textures include the following aircrafts: CS-TFZ, 9H-AGU, 9H-TQM, CS-TQP, CS-TQW, CS-TRJ (Belgium Air Force), CS-TRJ (Hi Fly livery). Hi Fly Virtual operates a fleet of modern Airbus aircrafts at a global scale. All data and current location of our aircrafts is now available on the Fleet page that can be accessed through the top menu or directly using this link. New flight plans were added with cooperation with the real Hi Fly operations department. Over 750 routes are available to be selected on our VMS system with real flight plans used on Hi Fly flights around the globe. Our systems are fully up-to-date and operations can be resumed normally. We have all aircrafts and hundreds of flight plans loaded into the system based on real Hi Fly flights. Our new VMS system will continue to be updated with flight information in cooperation with Hi Fly.